The idea presented is the opinion of the Options Action staff and not a recommendation by OptionsPlay. On Friday’s Options Action, the crew analyzed the performance of small cap stocks. Small caps have underperformed the overall market recently and has the potential to catch up. Coupled with an inverted head & shoulders pattern and breakout higher, a rally is likely. 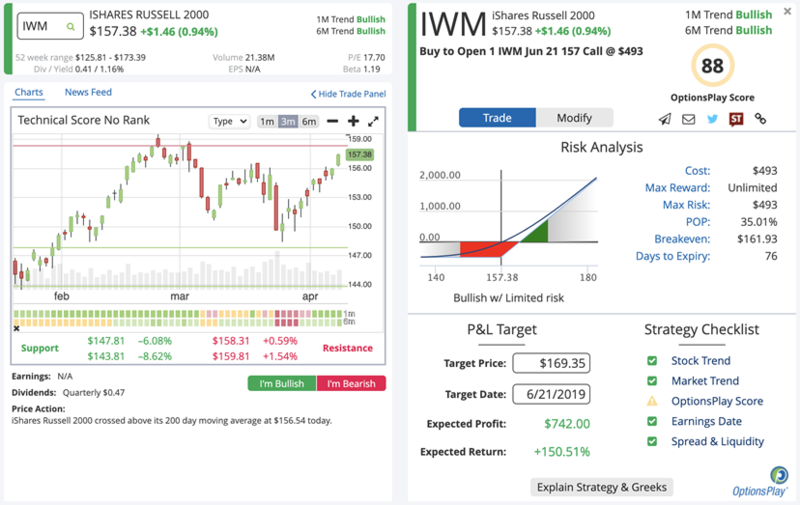 Expecting IWM to trade higher, Michael Khouw suggests buying a June 157 Call for a $4.80 Debit. As of Friday’s close, these calls were trading at a $4.93 Debit.